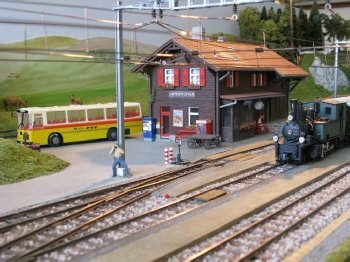 Welcome to the modelling pages of the Swiss Railways Society website. 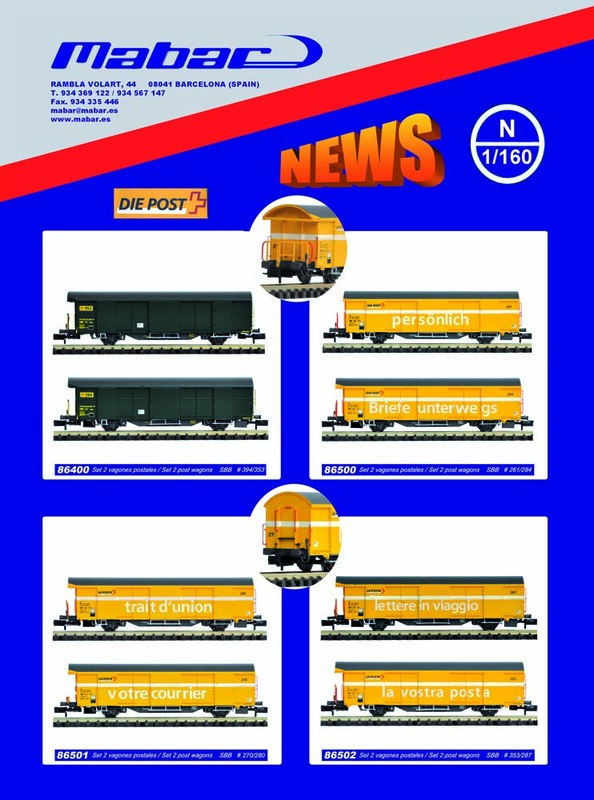 A place for extra information that our members would like to submit. 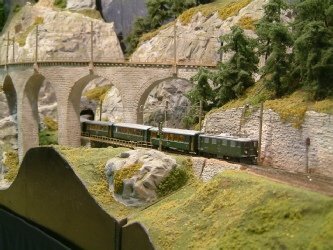 Whilst our name implies an interest only in railway, many of our members have wider interests in modelling things Swiss, so the main constraint will be ‘Swiss’, so articles on modelling tramways, buses, boats and scenery are all welcome. 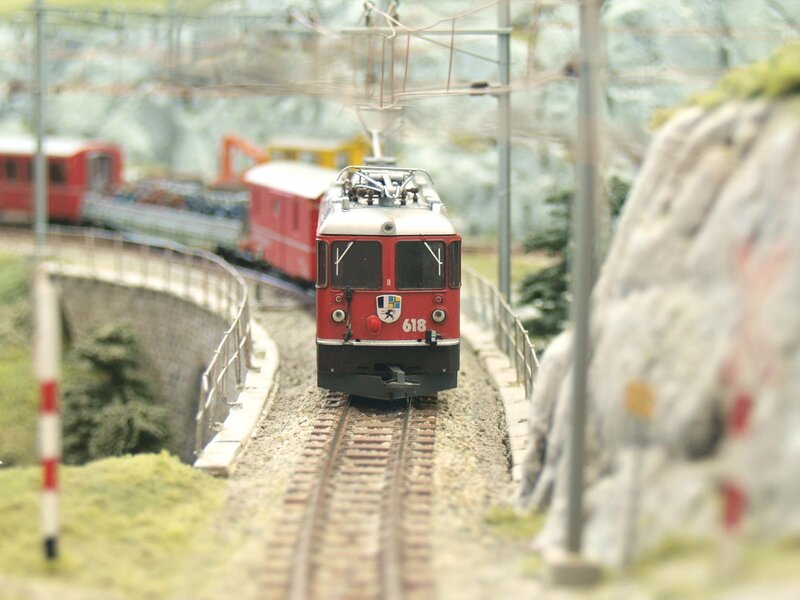 If there is any information that you think should be on this page, submit it to the Webmaster. 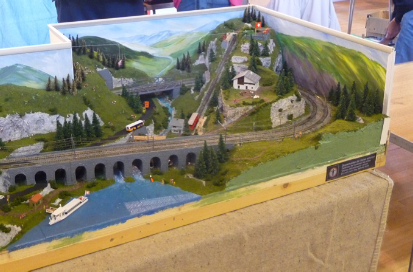 MABAR TREN S.L. 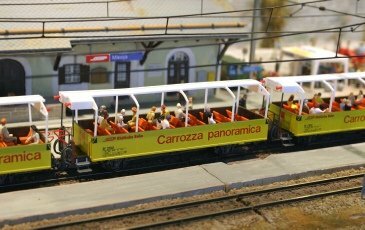 are a Spanish Model Railways company situated in Barcelona that produce HO and N scale models. 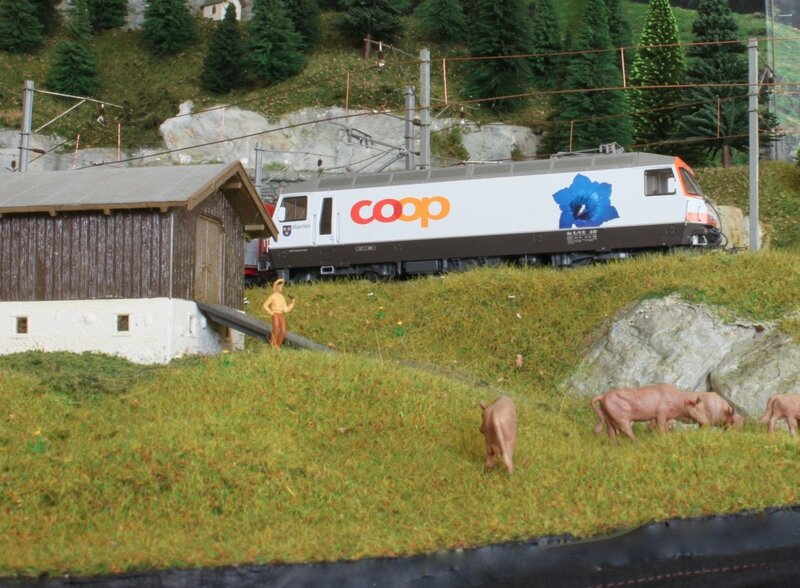 They have released a Swiss post wagon in N gauge. Click here for a picture. 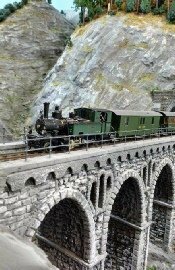 There website is www.mabar.es. 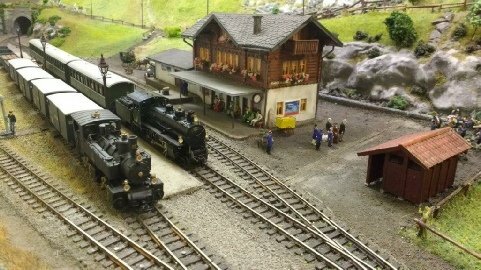 Stefan Unholz has a list of Model Shops in Switzerland which is regularly updated, to visit it click here. 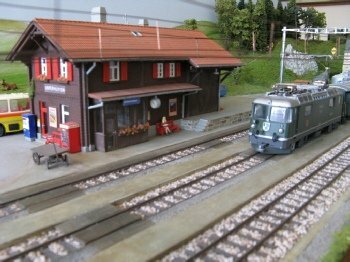 Graubündenbahn – RhB HOm Netherlands based layout. 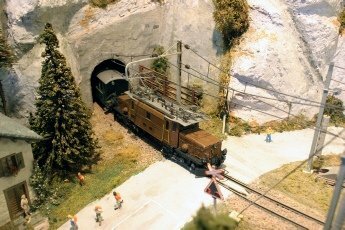 St. Neots Model Railway Exhibition, The Arena. 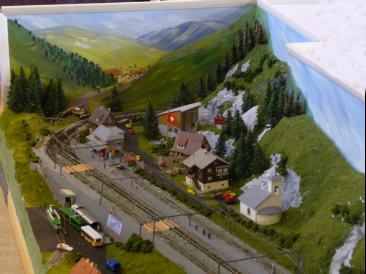 Kettering Conference Centre, Thurston Drive, Kettering, Northamptonshire NN15 6PB Saturday 8th and Sunday 9th June. 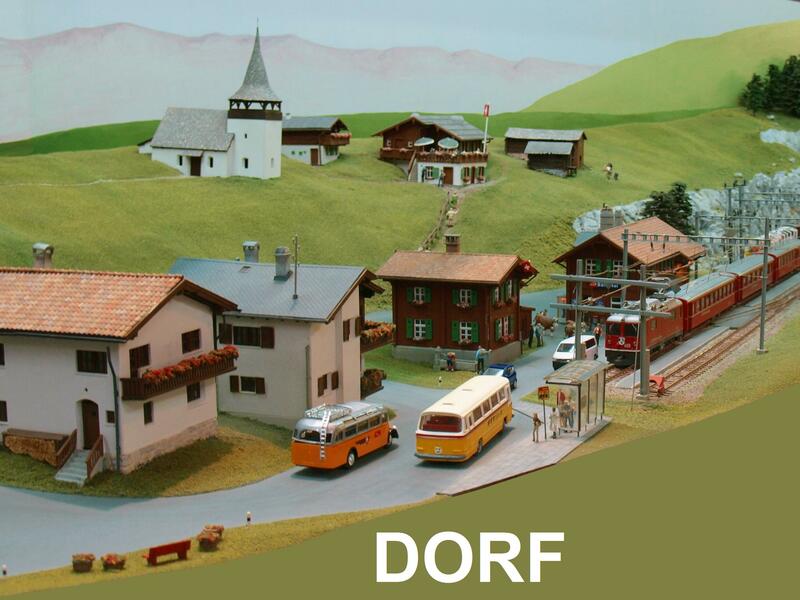 (Featuring Dorf). 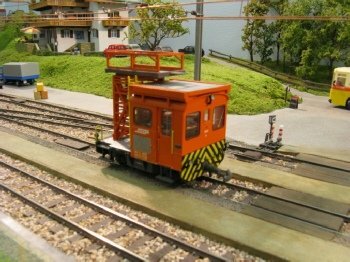 Zeitesfeld – N Gauge SBB – inspired by the foot of the north ramp of the Gotthard route. 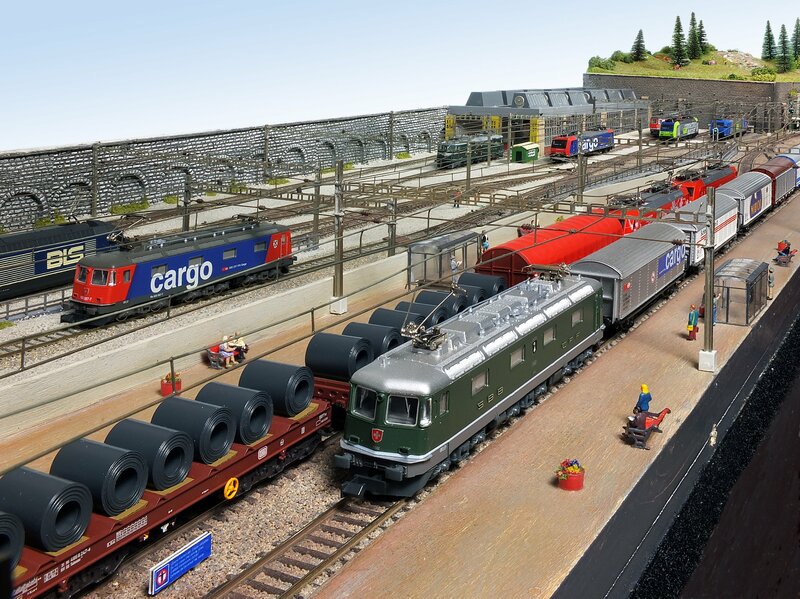 Featured in Continental Modeller in March and May 2014, awarded the Continental Modeller Cup for 2014. 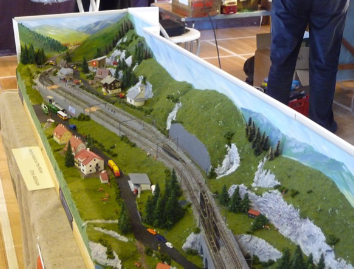 Click here for full details of the layout. 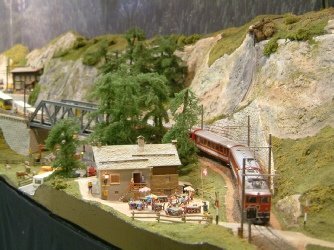 The walkers look on from the hillside, as the afternoon passenger service enters the station. 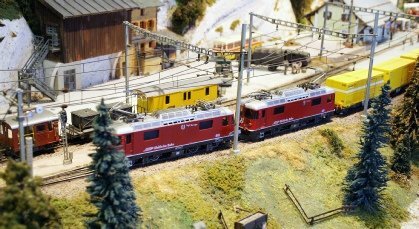 A very busy scene as freight trains cross at Zweitesfeld. 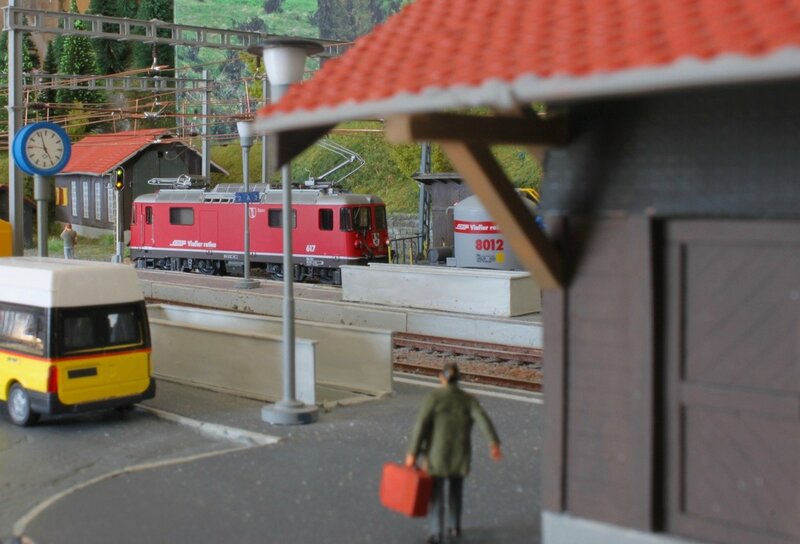 A loco exits the underpass as a steel train is seen leaving Zweitesfeld under “clear” aspects. 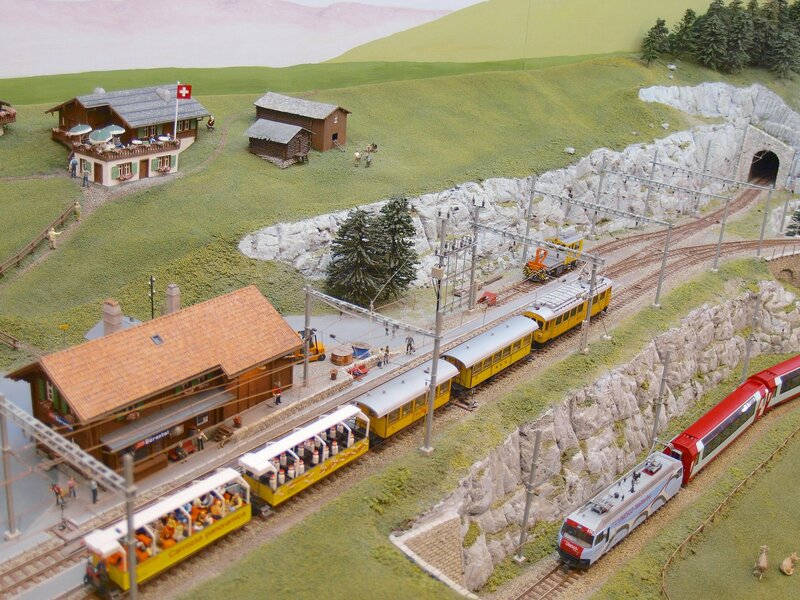 If you have a Swiss exhibition layout, let us feature it and it’s future appearances here.